PlenaForm Baffle System - Revco, Inc. The PlenaForm® Baffle System is an effective raised floor partition system for controlling air flow distribution in raised floor data centers. 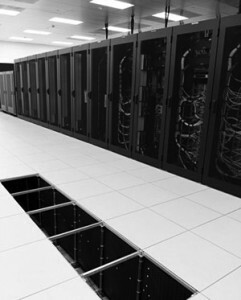 Flexible and scalable partitions solve dynamic thermal imbalances in data centers by directing or blocking airflow under raised floors. 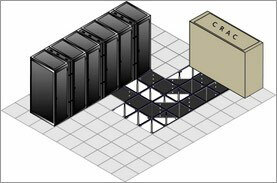 NOC environments – Partitioning off under Control Centers improves operator comfort. Partition off vacant data center space – If you wall off a section of the data center because you are building a NOC or because it is unused, there is no need to pump air under the floor. Even if there are no perforated tiles you will leak air unnecessarily. Easily cool a hot spot – Static pressure is increased delivering a higher volume of cooling through perforated tiles at a further distance from the CRAC units. To maintain velocity pressure to particular ‘hot zones’, PlenaForm partition baffles help maintain the static pressure further away from a CRAC unit. They can be used as “flow guides”, that is, they can be used to create cool or hot spot channels within the plenum to direct the flow to specified regions. Fence in cold air – Seal off perimeter corridors and walkways so that more concentrated cold air is dedicated for the equipment areas. 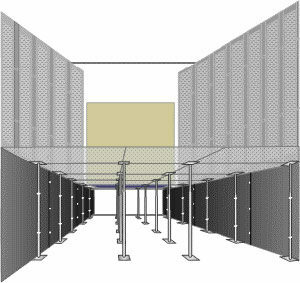 Create dedicated cold aisle partitioning – maintain air velocity pressure further away from the CRAC units. 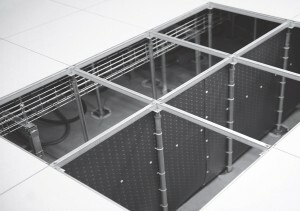 Position perforated floor tiles in the cold aisles in front of the server racks. Racks should be lined up in alternating rows with cold air intakes all facing one aisle and hot air exhaust facing the other. This separation of hot and cold air provides better uniformity of air temperatures, which can boost overall facility efficiency. 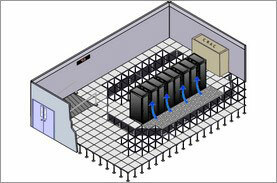 Optimize your cooling – Seal off unused space that does not require chilled pressurized airflow. Without dedicated partitioning, as the air moves further away from a CRAC unit, the air velocity decreases. Install inside servers racks to stop lateral heat transfer – Particularly helpful in existing rows where cabinet side panels cannot be installed. – Flexible: The racetrack shaped holes allow for the baffles to securely attach to raised floor pedestals for any degree of attachment angle. Panels may easily be cut with scissors for the passage of conduit, cable trays, etc. Cutout sections may also be patched with sections of additional baffles if the cutout is no longer required. Each baffle is 24″H x 48″W. – Scalable: Any infinite height or width can be achieved by adding or removing sections in 1″ vertical and 1-1/2″ horizontal sections. PlenaForm baffles attach to pedestals with 10.75″ releasable 50 lb. test cable ties. Baffles affix to one another with PF-RR two-piece screw rivets. 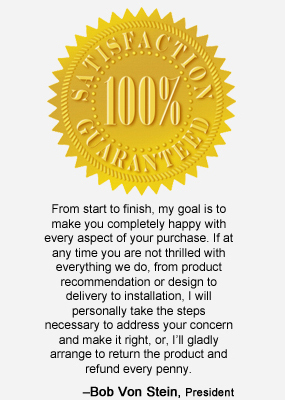 Cable ties and rivets are included with every order. PlenaForm baffles are scored both vertically and horizontally so that sections can be removed, or new sections added, to meet any height or width requirement. All angles of bend radius may be accommodated while the continuous pop-out hole pattern allows attachment to any raised floor pedestal type or height. – Adaptable: Creating dedicated cold aisles and partitioning off unoccupied raised floor areas with PlenaForm baffles increases static pressure thereby delivering a higher volume of cooling through perforated tiles. The Venturi effect is attained as air flow distribution is directed from the CRAC units to further distances resulting in improved equipment cooling. – Sustainable: Velocity is the time rate of motion. Therefore, velocity pressure is the pressure caused by air in motion. When air from a CRAC unit is forced through a partitioned air flow space, static pressure is created. Without dedicated partitioning, as the air moves further away from a CRAC unit, the air velocity decreases. 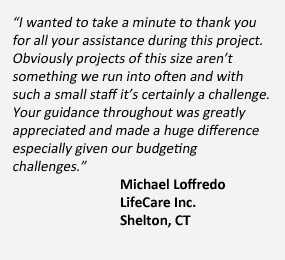 PlenaForm baffles help maintain the static pressure and thereby maintain velocity pressure to “hot zones”.